A classic outdoor insulation garment. 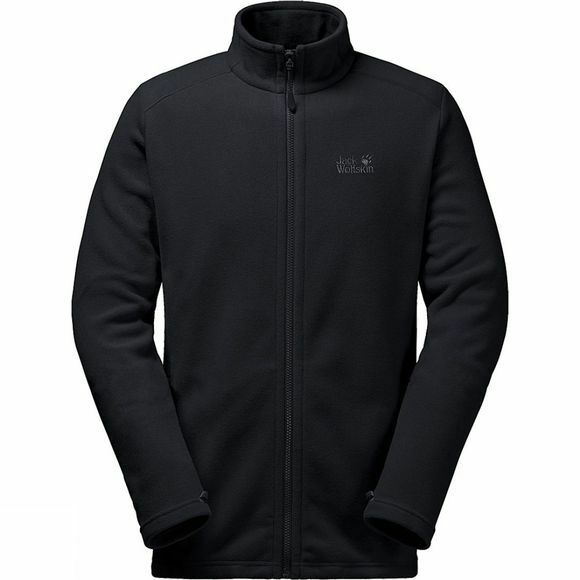 The Men's Midnight Moon Jacket is a typical example of Jack Wolfskin's universal fleece jackets. It is made from their proven, medium-weight Nanuk 150 fleece, which provides reliable protection from the cold. If the wind picks up you can use the System Zip to zip it into a weatherproof shell. This gives you a perfectly matched combination for cold weather conditions. With its highly versatile range of applications, the Men's Midnight Moon Jacket is always a good choice if you are looking for a universal insulation option.